Embarking on a new outsourced custom electronics project can be full of concerns – and certainly items that you’ll want to have addressed by your outsourcing partner up front. Whether you are an original equipment manufacturer in need of a small batch of custom electronic assemblies for your own product, or a contract manufacturer and want to leverage the volume requirements of an outsourcing partner in order to pass the savings on to your customers, an outsourced relationship is potentially very valuable. As you get started, you’ll want to keep the following seven considerations in mind. How much volume does your business really need? If your needs are small in the near term, you may want to outsource simply to produce a smaller batch for a client's needs instead of massively retooling just to do a smaller order in house. Once you've shared the necessary specifications, your outsourcing partner can keep them and supply you as needed. This can add a great deal of near term flexibility to your operation and actually save you money versus having a large amount of product waiting to be ordered later. Using your customers’ budgets efficiently is an important part of producing custom electronics. When you’re considering whether to outsource electronics or complete the work in house, aligning budget and expertise will be key. If your expertise aligns well with the needs of the project and the budget, keeping it in house is a great option. On the other hand, if the budget constraints are going to strain your processes because it requires work outside your area of expertise, outsourcing might be the better option. Your outsourcing partner, with expertise in this particular area, is someone you can turn to in a time like this. Making efficient use of budgets, both yours and your customers, should be a top consideration when deciding to outsource custom electronics or not. How quickly do you need to be able to move from "customer clicks the order button" to "customer receives product from you?" Many companies are concerned that if they outsource, there could be a large gap between when the customer submits their order and when it arrives. Many customers are on tight deadlines, and they need everything to happen right away. However, other customers are not hyper-sensitive to the amount of time an order takes, and can be more pliable with timelines. When considering an outsourcing partner, it’s important to keep in mind what the turnaround time will be for you and your clients, so you make sure you’re selecting the right partner. Spending your money wisely is perhaps the single most important trait for a successful business. 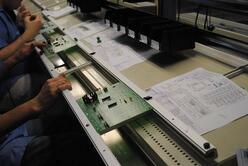 Outsourcing your custom electronics is an excellent option when faced with Cap Ex decisions. Outsourcing can be a very valuable alternative to spending on capital equipment or a temporary solution for capacity constraints during a lengthy Cap Ex implementation. How can you trust that the outsourced custom electronics you order today will be of sufficient quality for your and your customers' needs? If you have any kind of doubt about quality control, you may be working with the wrong outsourcing partner. Narrow your partner candidates to those who have established quality programs. ISO registers companies are a great place to start. Make sure that periodic checks are carried out and the results are reported to you from both your outsourcing partner and your customers. This will ensure that you’re always informed of any issue to be able to resolve it quickly, and help to limit errors overall. How do you see your business changing over the next five years, and how much do you believe this will influence your need for outsourced custom electronics? If you work with an outsourcing partner that is able to provide for virtually unlimited future demand, this can be a huge boon to your business and to your customers. If you have concerns about how much or little production capacity your outsourcing partner can handle down the road as your business grows and changes, it may be time to begin shopping for a new outsourcing partner that can keep up. Identifying, selecting and validating a custom electronics partner is most effective before an urgent need is at hand. Choose your partner carefully and then test the waters with a medium sized project before a critical demand arises. You will have more confidence and your partner will be better prepared to help. 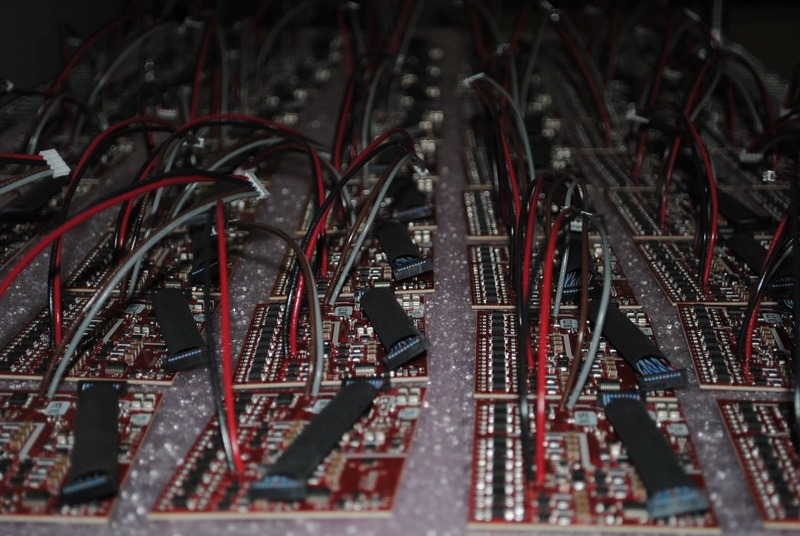 There is a lot to consider when you’re outsourcing custom electronics. Fortunately, these concerns are simple as long as they’re addressed at the beginning when you’re first choosing an outsourcing partner.